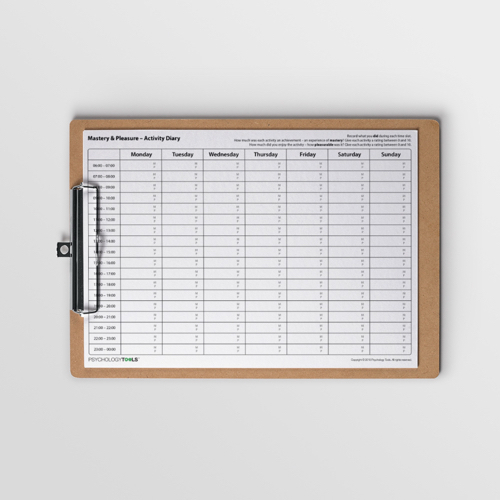 Activity diaries can be used for activity monitoring during an assessment phase of therapy, symptom monitoring during therapy, correlating activity with symptoms, or activity scheduling as part of behavioral activation. 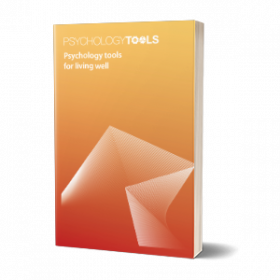 The Mastery And Pleasure Activity Diary helps clients to identify activities associated with experiences of pleasure and mastery. Activity diaries are a crucial information-gathering tool. 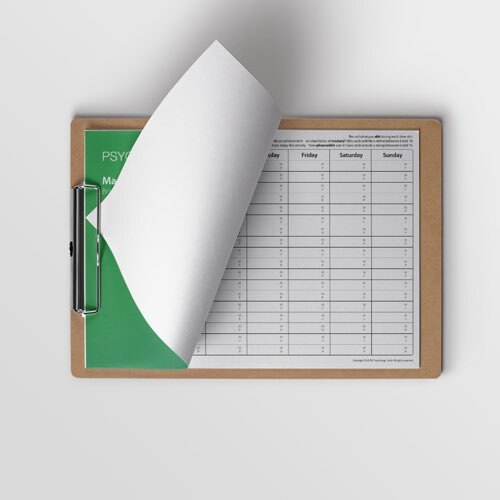 They can be used for activity monitoring during an assessment phase of therapy, symptom monitoring during therapy, correlating activity with symptoms, or activity scheduling as part of behavioural activation. 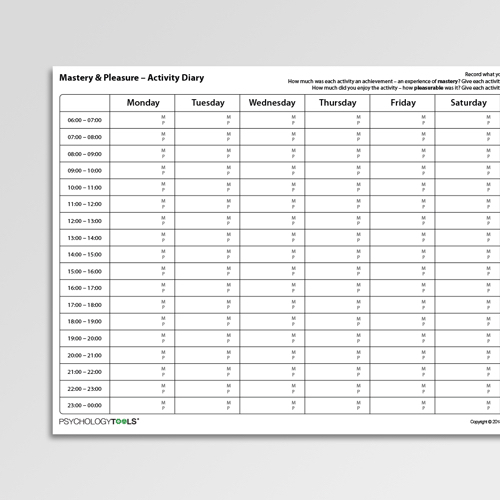 This Mastery & Pleasure – Activity Diary includes spaces to record activity for 1 hour time slots throughout the day, as well as space to record mastery (achievement) and pleasure (enjoyment) associated with each activity. For activity monitoring clients should be instructed to record their activity in the 1 hour time slots throughout the day. 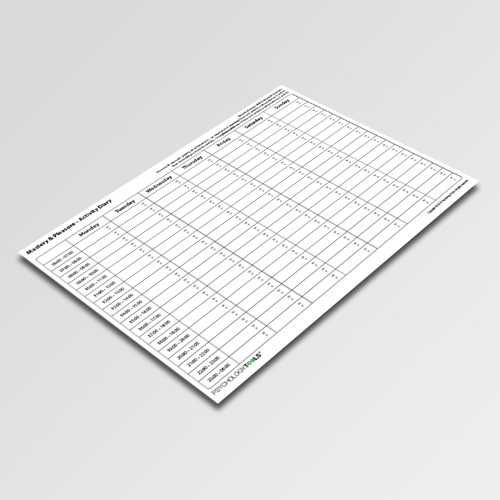 For activity scheduling clients should be instructed to plan and schedule desired activities in advance, and to record whether the scheduled activities were completed. Mastery (a sense of achievement) and pleasure (a sense of enjoyment) should be recorded alongside each activity.